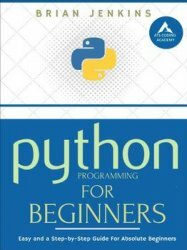 Learn Programming with Python, step-by-step in few hours. Know more about computer programming and how to get started with Python programming language. Understand the various features of Python programming language and appreciate its power. Transition from a programming beginner to an expert. Students and academicians, especially those focusing on computer programming and software development!